In 1904, St. Louis hosted the World’s Fair. Who would have thought so many years later, the donut would still be paying homage to that event? That’s exactly what World’s Fair Donuts, located at 1904 (see what they did there?) South Vandeventer Avenue is still doing all these years later. No they weren’t selling donuts then but they have been baking up Glazed Buttermilk Cake Donuts, Long John’s and Blueberry Chip Cake Donuts for around forty years. The majority of those years at this location. On a recent trip to the Gateway to the West, I had the pleasure of stopping in and meeting Peggy, one half of the Clantons who have made World Fair Donuts some of the most famous and the best in the city. I had taken it upon myself to check out as many old school donuts shops I could find, on a quest for the best donut in St. Louis. At World’s Fair as I sampled a sugared donut and a long john, I could easily see why they’ve been around so long. Flavorful and more cake like in texture than others I tried, World’s Fair Donuts definitely should be a stop you put on your St Louis itinerary. They are definitely a contender for the best donut in St. Louis. Next up was Old Town Donuts located in Florissant, MO area. This area is a second ring suburb to the north of St. Louis. It’s also one of the oldest settlements in the state so it’s no wonder Old Town has been making donuts for over 30 years, seven days a week, 24 hours a day! Very impressive! According to their website, Old Town runs three shifts to ensure the freshest donuts. The chocolate covered cream filled was my favorite. I really liked the yeastiness and crispy texture of the glaze of these donuts. Just as promised, they were very fresh! 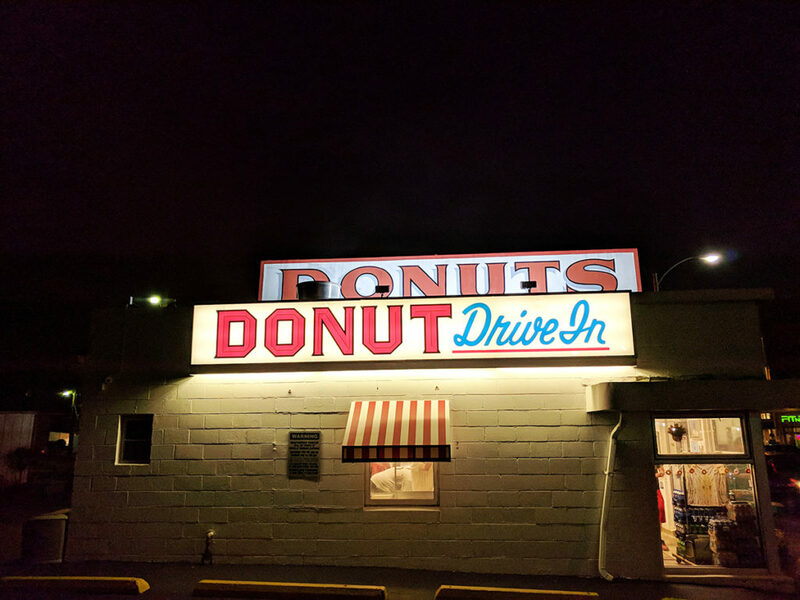 Another St. Louis institurion that I visited was Drive In Donuts. They’ve been around since the 50’s and still use the same family recipes they did back then to make their donuts today. Featured on Food Network, they were voted best donuts on Route 66. I had a glazed and a chocolate covered. The texture and consistency were near perfect and everything I want from a donut. However, the customer service wasn’t good. Just because you’ve been around a long time doesn’t mean you can forget customer service. Last but not least I ventured over to the other side of the Mississippi to try Duke Bakery in Granite City. Even though “Granite”, as the locals call it, is in Illinois, it’s considered the Greater St. Louis metropolitan area. They didn’t have a huge selection because I was there late in the day but they still had my favorite, chocolate covered. Up until the moment I tasted the Duke donut, Krispy Kreme chocolate covered always did it for me. Since I’ve tasted the Duke donut I cannot stop thinking about it. It was perfect! From the texture to the yeastiness to the chocolate. I don’t know what kind of chocolate they use but it’s what my chocolate dreams are made of. So there you have it. My picks for the best St. Louis donuts. Which one was my favorite? I think it’s too close to call. There are plenty of other donuts shops in the area. I wish I had more time to check them out. 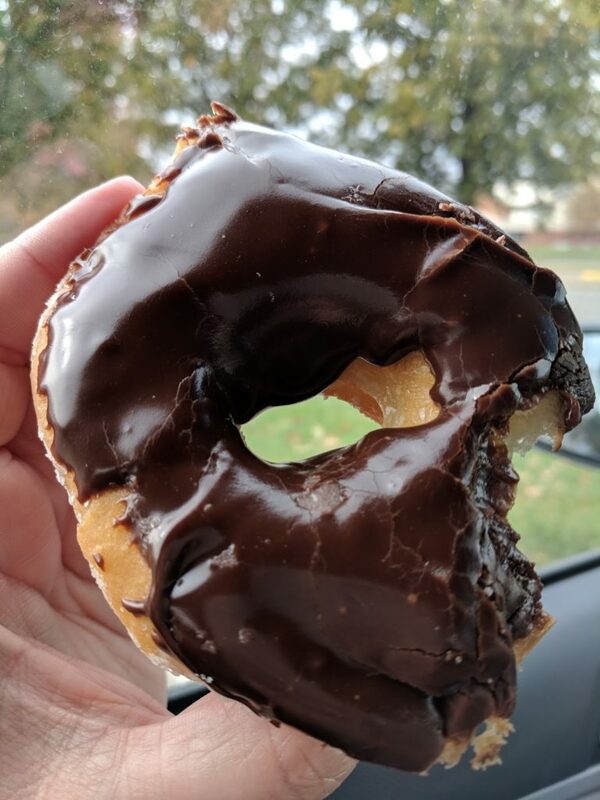 Do you have a favorite donut in St. Louis that I don’t know about? If so leave me a comment and tell me what it is.